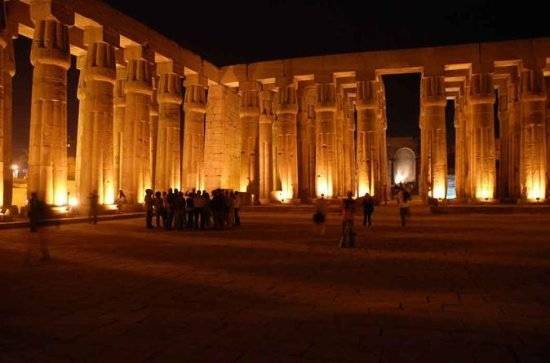 See majestic Philae Temple lit up against the night sky by pre-booking this convenient private package to the Sound and Light Show—Philae. Guarantee access to Aswan’s most in-demand show and watch the love story of the ancient deities Isis and Osiris in a spectacular island setting. Besides tickets, your evening includes private, door-to-door, round-trip transfers in a modern, air-conditioned vehicle. 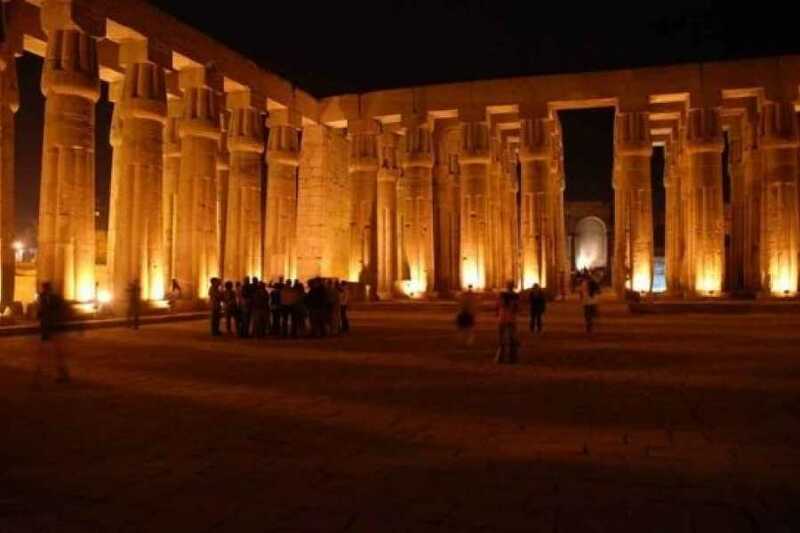 This tour begins with 6pm pickup at your Aswan hotel, or at your cruise boat on the Nile. Meet a private driver, then travel to Philae Temple in an air-conditioned vehicle. Sit down in an outdoor gallery as the show begins. The Philae Temple sound and light show tells the stories of the gods in their own voices: listen to the legendary husband-and-wife Isis and Osiris as they describe the temple in ancient times, and recount the Philae’s dramatic relocation and restoration. Find out the legends behind Philae Temple, whose name is derived from the ancient word for “remote place,” and tells the story of a dramatic fight between Egyptian gods. Watch Philae Temple’s elegant bas-reliefs and carved figures lit up from below, then see the grand columns and buildings that were moved stone by stone after flooding in the 1960s. After the show concludes, meet the driver for the return trip to your hotel or boat.